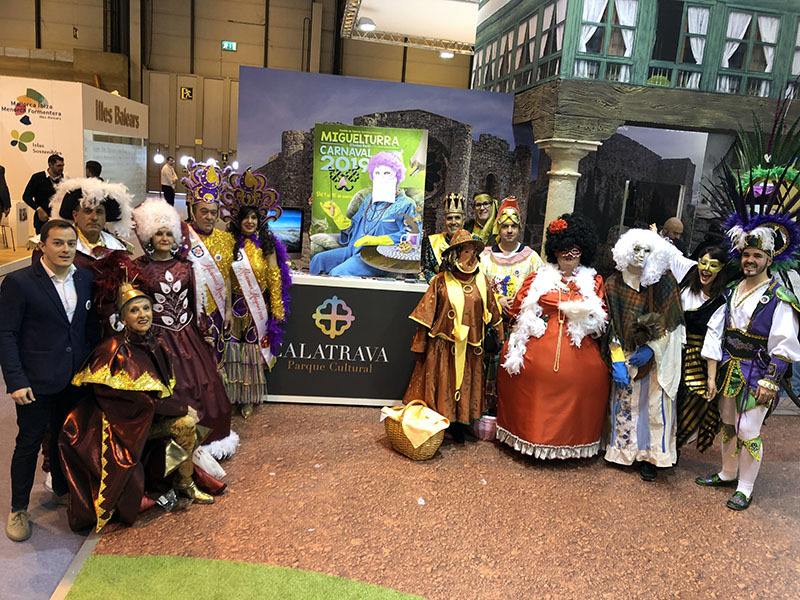 About 14:30 pm on Friday 25th January, has been presented the Carnival of Miguelturra at the International Tourism Fair 2019. 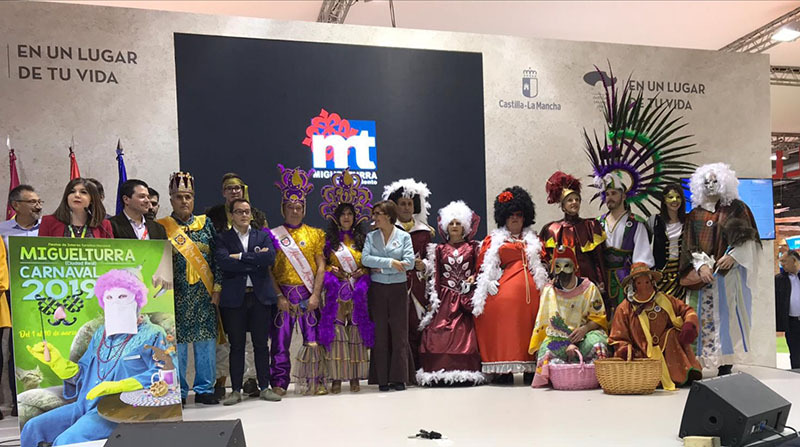 The mayor of the town Victoria Sobrino, has expressed her satisfaction to present to our carnival as a festival of national tourist Interest, highlighting the street mask as the most representative figure of the party. Nephew, has also made a tour of the various events to be held during the upcoming carnivals of 2019, including the opening speech, burial of the sardine, Carnival Costumes Museum, Chirigotas and Parade of Murgas, groups and floats. It has also made reference to the Carnival Museum ‘MOMO’, one of the few museums in the world exclusively dedicated to Carnival. The first mayor of the consistory of Miguelturra, has finished his speech with the most known phrase in our carnivals, what don’t you know me? 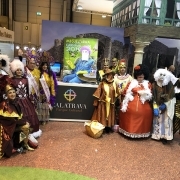 The event was attended by a large group of people representing the local Peñas, the councillor for celebrations, Diego Rodríguez, various members of the Municipal Corporation, King of Carnival, Serafin Delgado, president of the Carnival Association of Miguelturra, Raúl Domínguez, Major Masks 2019, Antonio and Mª Paz, Major Masks 2018, Orestes and Mª del Carmen, as well as our street mask .